In order to make your blog appealing you must carry on the excitement of the headline. The headline and the first paragraph are the most important components of any blog. If you do these two things well, you will make your blog more appealing to your targeted audience and no doubt get them to enjoy the entire content. Experts urge writers to focus a great deal of their efforts into the first 50 words of your blog. These words have to be made of gold since that is what initially draws the reader in. You wouldn’t create a fancy invitation only to slam your door in a guest’s face would you? Here are five simple ways to get the reader’s attention, and keep it there. It’s good to lead off with a question, a rhetorical one works best. 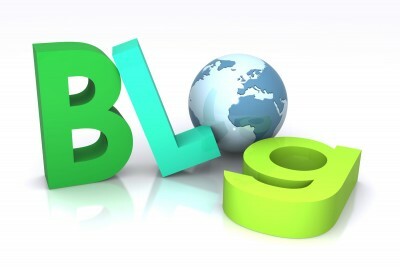 Engaging the reader right off the bat with a thought provoking introduction can make your blog more appealing. It’s curiosity that engages people. You can accomplish this with an anecdote or quote, too. The point is to get their attention so why not make them laugh or immediately tell them the point of the post. If you’re not going down the entertainment route, choose a well-respected quote from a well-known author or a famous person. You could also tap into the reader’s imagination using powerful description coupled by words like “picture this” or “do you remember when.” Make your blog a validation of a reader’s potential experiences and produce a vivid mental image that accompanies your content. A great way to accomplish this is to use metaphors, simile, or an analogy. This is one of the most simple and powerful ways to tell a story. It can capture a reader’s ability to tell their own story. Another way to make your blog worth the read is to add a little bit of shock value. Remember those odd little nuggets of useless information you’ve been saving for an awkward icebreaker, well, you can use them to make your blog interesting from the beginning. But remember to keep it subtle and favorable for a wide audience. You know who your targeted reader is but you may not know all their tastes. So keep relevance in mind and close as well as you opened by linking back to your original thought. If you aren’t sure how to make your blog more inviting, contact us to bring your posts to a new level to obtain more reads and more followers. This entry was posted in Blog Writing and tagged blog, blogging, content, content marketing, content marketing strategy, engage customers, engage the reader, make your blog more appealing, make your blog more inviting, marketing strategy, social media, social media tools, storytelling, Susan J. Campbell Copywriting Solutions, telling your story. Bookmark the permalink.